If you are yet to check out 88rising’s collaboration tape Head In The Clouds, then you’re definitely missing out on some of the hottest music of the Summer. After seeing videos for Peach Jam with BlocBoy JB, Swimming Pool and Japan 88 with Famous Dex, the next track to be given a visual treatment is joji’s album song also called Head In The Clouds. Taking place literally in the clouds, joji can be seen floating throughout the world and into space while delivering his hypnotic verse on being stuck in a haze and never coming down from it. 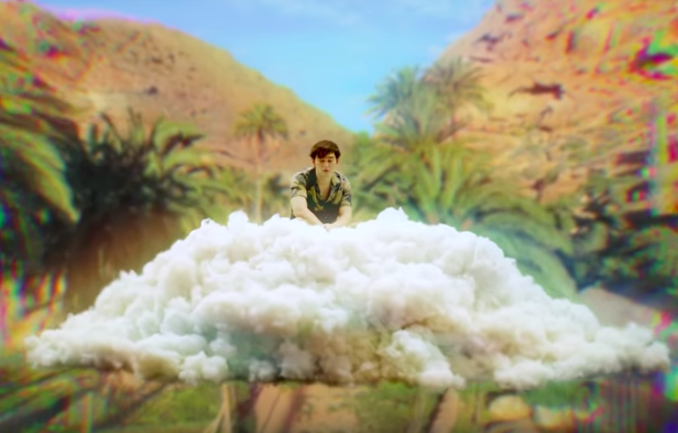 Joji already has the reputation of starring in the most creative videos (such as the singles yeah right & will he ) but before checking that out, let loose the cut for Head In The Clouds and catch the 88rising camp on their Head In The Clouds tour kicking off in September!